Fall River Mayor Jasiel Correia was indicted on fraud charges Thursday for using company investments on adult entertainment and student loans. 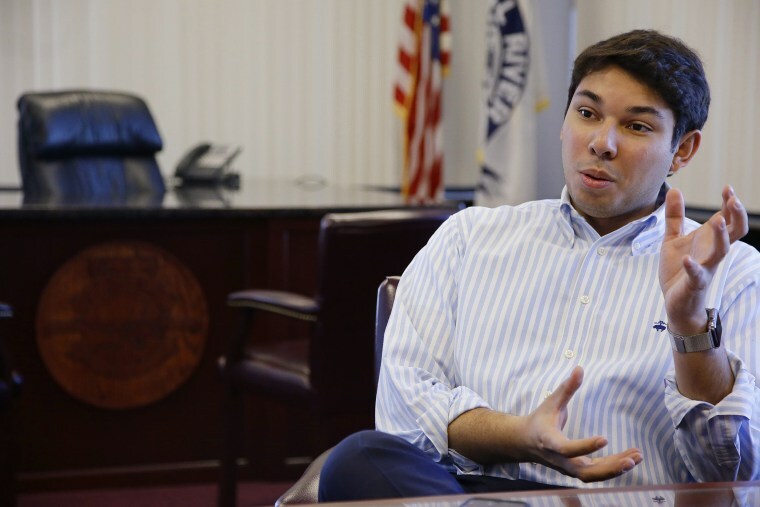 Jasiel Correia, the mayor of Fall River, collected more than $360,000 from investors to develop an app that was supposed to help businesses connect with target consumers, federal authorities say. Instead, he spent more than $230,000 of the investor funds to bankroll a lavish lifestyle and advance his political career, officials say. Correia was arrested early Thursday in Bridgewater and charged with wire fraud and filing false tax returns. He is expected to appear in federal court in Boston on Thursday afternoon. His defense attorney didn't return a request for comment. The mayor's office said Correia was expected to provide a statement after his arraignment. In September 2017, Correia confirmed to the Fall River Herald that he was the subject of a federal investigation regarding the company. He denied wrongdoing at the time and said the investigation was brought on by political opponents. Fall River is a working-class city of about 87,000 residents in southeastern Massachusetts, some 55 miles from Boston. It is perhaps most famous for Lizzie Borden, who was accused but later acquitted of killing her father and stepmother with an ax in 1892. This story has been updated to correct Baker's title to governor, not mayor.